It's that time of year. Anyone who trades or invests will have been buying and selling recently to get the best tax treatment for their investments. And these days you can put £11,250 into and ISA each tax year too. So there will also be many people keen to top up their investment portfolio's. - There is no tax to pay, yes ISA's maybe tax free, but normal trading exposes you to the £10k limit on profits per year before Capital Gains Tax. Not only that, but it is very complicated working out how much tax you actually owe, thanks to the many byzantine rules put in place by HMRC. - You can use leverage too, no need to have £50k when you can you half that and leverage up - all the better for profits and leverage. There are some disadvantages, such as there are fewer options for investment and the margin is often higher on the spreadbets than the market makers offer by some distance. All in all though, spreadbetting makes sense if you have plenty of money. This is why all the City traders I know do it, that and it helps them to avoid being done for insider trading when they have a little bit of news. Personally, I think the leverage can kill you. This 'benefit' is responsible for Spreadbetting companies having 70% of their customers losing money. One bad position and you are finished, particularly if you have volatile shares or markets (an oxymoron these days, surely). So it is ISA's and a small trading account for me. However, the imposition of spreadbetting is hurting these options. For the spread betting companies hedge their positions in the real market. That is, you buy 10 BP shares on a bet, they are looking to make only the margin, so they go long ten BP shares (or more likely some complex equivalent from a Delta One desk) to hedge their position. Great for them and sensible, they can't lose. But, this is real trading, not gambling. Your £10 long has found its way into the market, affecting the actual shareprice (in this case, by only an infinitesimal amount, but a few thousand shares in an illiquid stock would be very different). When you gamble on the Grand National, you may affect the odds with your bet, but not the race. This is a crucial difference, as once gambling is actually trading, which this is, then it should not be free from taxes. 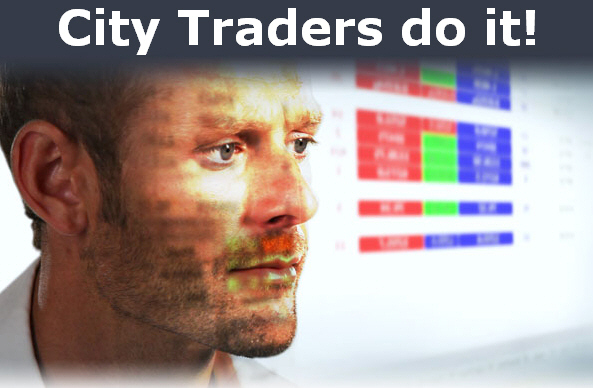 It is these days a different and tax free way of trading, albeit with more risk. Shareprices do go up and down due to people taking spreadbet positions. If it walks like a duck, quacks like a duck, then it is a duck. Now of course, I am not going to argue purely for taxes to go on to spreadbetting, but tax equalisation whereby rates are equal for whichever form of investment you choose should be the right way forward, bu the same total percentage as today is collected. Spreadbetting is influencing the market, it should be taxed as the trading that it is. Other considerations that spring to mind: dividend income & counterparty risk. Do spread betters fall under the FSA protections for other investments? IIRC one of the FTAV regulars lost a packet in the MF-Global collapse, although he presumably would have been trading on margin rather than spread-betting. for the purpose of insider trading, etc. spread betting is illegal. it only makes sense if you are going to be a price taker and can't find cheaper forms of leverage. HeadofIt on FTAV points out that if the majority of spread-betting punters are making a loss, then there's no point in the Treasury taxing it because in aggregate the losses would be offset against other capital gains elsewhere which are being taxed. In other words, if you invest via spread-betting then you're taking cover in a crowd of muppets. I think they should tax losers too. Only more. Why should you get taxed just because you're a winner ? Just for your tax to be spent on losers ? If losers had to pay tax for everything they lost then they wouldn't lose so much, would they. And then we'd be a nation of WINNERS. Tax the losers, not the winners is what I say. You lost it. You pay for it. I reckon spread betting is better for short term trades and ISA's better for building up a long term portfolio. CGT should apply to spread betting though, it is absurd that it applies to CFD's but not spread bets. Having said that, spread betting is one of the better forms of gambling (poker being the other). I've made about £400 profit this year off a £750 stake - and spent it! Gambling is not easy, it's a rollercoaster of emotions, but it's fun. Financial gambling has the added bonus that it keeps you interested in what is going on in the world. Over the last 4 years I've probably lost about £1,000 - £2,000 spread betting. But I've learned a lot in the process. If I did suddenly come into some money I think I'd be better able to invest it thanks to all the practice. Phil - re tax, in aggregate that is a valid point, but depends on how you do it, stamp duty rather than CGT for a start. It would affect the tax treatment of the companies offering too, who sit under gaming regulations for tax affairs currently. Won't the hedging trades by the spread-betting company attract stamp duty CityU? My suspicion is that HeadOfIT is correct - the Revenue would be quite happy to slap capital gains on spread bets, but can't see the point when so many punters are determined to lose money hand over fist from which they can rake in a cut via corporation tax on the company profits. As an investor, you can take advantage of this by investing via spread-betting companies, so long as you can stick to your investing knitting & can afford the loss if the company goes under. Hybris that best suits your needs.